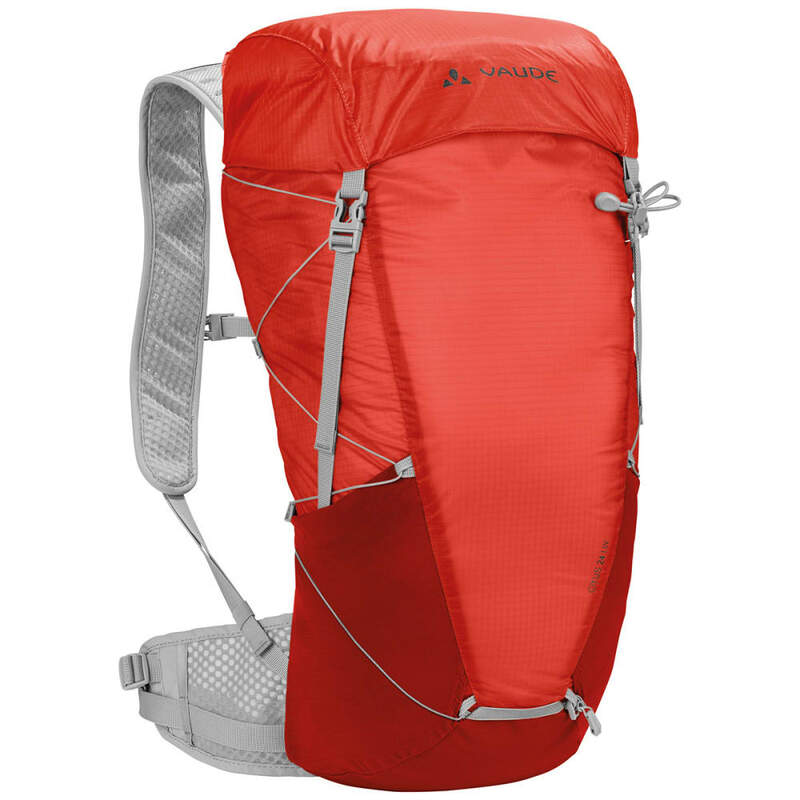 The Player: one of the lightest hiking backpacks on the market, with a ventilated mesh back. 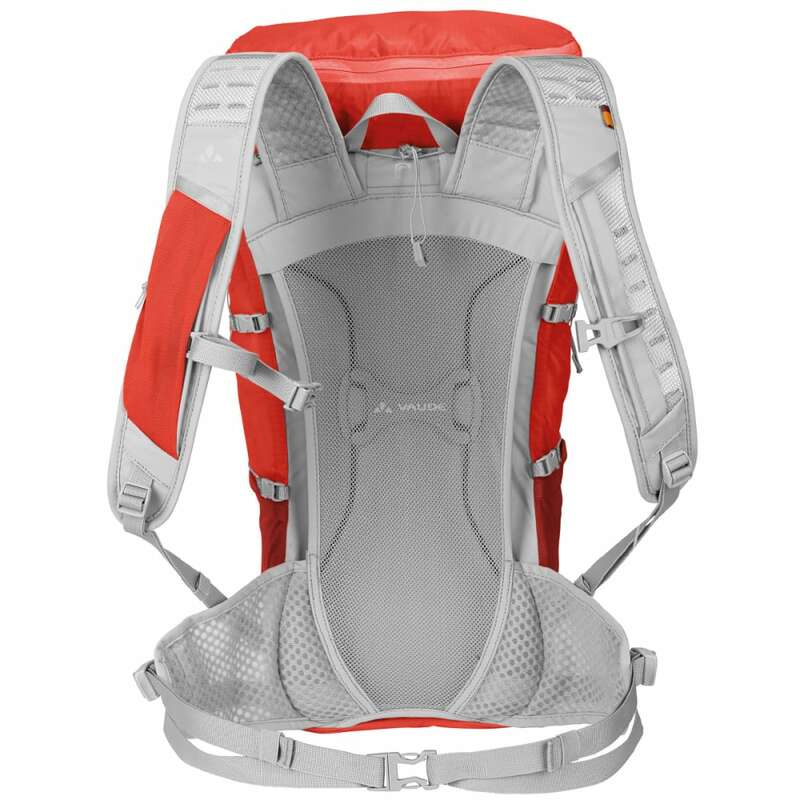 Lightweight, ventilated Aeroflex back – Lightweight hip belt – Ventilated shoulder straps – Zip pocket in the lid – Additional zip lid pocket inside – 2 side stretch pockets – Stretch zip pocket at shoulder strap – Combined compression and attachment system – Lightweight siliconized fabric – Reinforced bottom – Lightweight buckles throughout – Reflective elements – Opening for hydration system – Sternum strap with tube holder clip. Weight: 480 g / 1 lb., 1 oz.